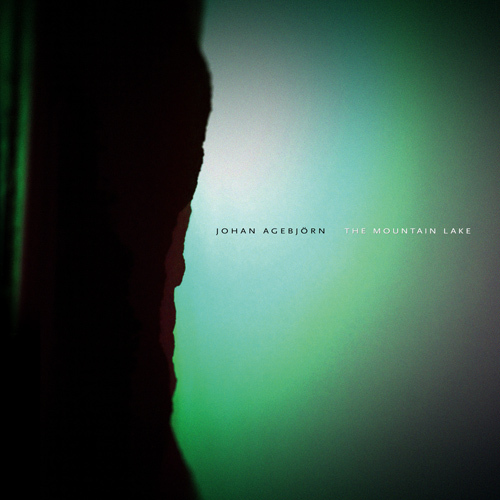 The Mountain Lake is Johan Agebjörn’s second release on the Lotuspike Label. The album is comprised of thirteen tracks of compelling, spaced-out electronica that express Agebjorn’s fondness of ambient soundscapes, 80’s italo disco music, drum machines, science fiction movies, Buddhism and the Swedish landscape. While doing a short search on Johan Agebjörn we learn that he is a Swedish musician whose music crosses ambient approaches and classical piano. But he is more known for his work with the princess of Swedish disco, Sally Shapiro, with whom he impregnated a strong Italian disco style tendency. The Mountain Lake is his 2nd opus on Lotuspike and, with this soft disco touch, is a wind of freshness for this label which offers mainly ambient works tinted with a delicate progressive New Age approach. Structured on 13 tracks, The Mountain Lake is a pleasant album where the ambient and atmospheric EM styles is shaping quite well to hybrid and disparate rhythms, drawing thus very beautiful melodies which come up to standards of an intelligent and innovative synth-pop EM. Crackles, sizzling and static white noises open Spacer Woman from Mars (Ambient Mix). A soft synth line floats on a low pulsating undulation while Sally Shapiro’s felted voice sways among nervous oscillations which flicker around Spacer Woman from Mars. Static, Spacer Woman from Mars’ rhythm moves in stroboscopic circles whereas a sequential line is harmonizing with the hatched ethereal vocalizes from the Swedish Diva and that scattered percussions and along with a spasmodic keyboard shape a low circular and motionless techno. Spacer Woman from Mars depicts The Mountain Lake's ambivalent atmosphere where rhythms are in opposition to harmonies and are encircle by moderate musical elements. Amylium Casparium is more mordant with its stroboscopic sequential line which goes along with good panting beatings percussions. Fine resonant chords and good metallic percussions support the weight of the curt rhythm which, in spite of its clear technoïd trend, remains fossilized in its ‘dancefloor’ approach wrapped that it is of nice layers of an airy, oniric and serene synth. The Stones Are Blasted is a beautiful electronic melody, quite as Swimming through the Blue Lagoon, with a minimalism sequence which pulses a hypnotic tempo with delicate arpeggios sparkling in a harmonious electronic atmosphere. Bells of a sombre monastery resound and Spiral Staircase spreads a dark synth line with tones of old organ coming from darkness. A mephistophelic approach where we follow a dark and murky movement, among synthesized whispers and variations in a movement of which oscillatory curves feed a soft paranoiac madness. Zero Gravitation is The Mountain Lake's most electronic track. It’s a long musical piece which evolves in an ambient structure with fine pulsations of which palpitations awake softly a morphic rhythmic covered by nice wrapping synth layers. It’s a fragile and latent rhythm as well as slowly progressive that gives the feel to stamp one’s feet on a long track with vocalizes strata which criss-cross the blackness of a soft cosmic down-tempo. Take me Home is another beautiful electronic ballad that seems to be coming out of Amylium Casparium mould, but which remains more balanced, with nice percussions effects and soft felted voices which whisper behind soft arpeggios with tones of glass. The rhythm there is pleasant and lively, quite as in The Chameleon which is on the other hand more insistent and slightly livelier, especially with these limpid arpeggios which roll up a tempo become crystalline as it progresses on strikes of percussions and curt and scattered synth pads. Love Ray is a soft melody coming from stars where Lisa Barra's whispers float among crystalline chords and light hoops of glasses. Siberian Train encloses with a frenzied rhythm where a sequential line waves with strength on beautiful percussions which draw the movement of a train on a furious railroad. Johan Agebjörn amazes with his vision and musical creativity where everything is linked on a furious tempo but always coated by beautiful layers of a silky synth. Ambient groove and spacey electronica. The Mountain Lake is a warm, melodic album with an obvious love of sci fi themes fuelling many of the compositions. Airy synth pads and dreamy washes float around invitingly uncluttered phrases, various layers of harmony interacting with each other in question and answer or deftly entwined. Agebjörn's nostalgic appreciation for the 1980's is evident in both the sharp synthesiser arrangements and the retro drum machine beats; however, this looking back is balanced Janus-like with futuristic audio imagery, smooth cinematic scenery and blissful, floatational reverie. The Mountain Lake arrives in a jewelcase with a two panel insert. The front cover presents a vertical horizon that is appealingly ambiguous; heavy, dark mass to the left; effulgent silky green to the right. The rear cover reveals something of the source of the front image: here we can see the green light to be the sky interrupted by mountainous forms, the waters of a night time lake barely breaking the darkness. Again shifted by ninety degrees, this photograph backs the track list, footed by website details. Within, a soft focus greenscape presents a lengthy discussion of the project to the left: to the right a discography and an appropriate poetic quote. Swedish musician Johan Agebjörn has a pretty substantial discography to date that can essentially be split into two main projects: the electro ambient side (of which The Mountain Lake is the latest release) and a 'neo-italo disco studio' project featuring singer Sally Shapiro. For this album Johan has returned to Lotuspike to follow up his Mossebo collection of 2008. The thirteen tracks on The Mountain Lake explore personal themes, taking the title from the English language translation of the Göteborg suburb where he lived between the years 2007 - 2009 when the album was under development. The album features collaborative input from Sally Shapiro and Lisa Barra on vocals, as well as Glass Candy, NeonCoil, Sylwia van der Wonderland and remix guru Steve Moore. After more than two years, Swedish composer Johan Agebjörn delivers his second album on the prestigious LotusPike label. It’s an example of fresh and catchy contemporary electronics with that typical but indefinable arctic rim. The influence of trance and dance is clearer on the 13 up-tempo instrumentals that fill ‘The Mountain Lake’, that is graced with a beautiful melodic sound design next to a nice assortment of rhythms and sequencer patterns. The opening track ‘Spacer Woman from Mars’ is a great start of the sonic journey, which aptly blends ambience and emotions with influences of sf-movies, the Swedish landscape, ‘80’s disco tunes (’Amylium Casparium’, ‘The Stones are Blasted’) and even Buddhism (’Spiral Staircase’, ‘Last Tram to Comet Square’). I really like the great sense for detail, spaciousness and warmth that runs as a consistent tread through Agebjörn’s fine crafted compositions, of which some have a certain immersive effect (’Zero Gravitation’, ‘Take me Home’, ‘Love Ray’). The album ends with a remix version of ‘Siberian Train’ (a track that appeared on Johan’s previous album ‘Mossebo’) immersing the listener in a Giorgio Moroder-like, hypnotizing realm. In my opinion, the great balance of intimacy, honesty and the joy of freedom that shines through the vibrant music of the well accomplished and excellently produced ‘The Mountain Lake’ makes it something special. Chapeau Johan! As much as I have enjoyed The Mountain Lake, I have to admit that the two ‘Underworld Mumble’ pieces–super-short burbles of odd, random sound–feel like mistakes to me. They break up the flow of the disc with their abstractness. I’m sure that to the composer they have some sort of thematic necessity, but quite honestly, I first listened to The Mountain Lake in my car and when the first ‘Mumble’ came on, I thought there was something wrong with my CD player. They’re only 15 and 13 seconds respectively, but for this listener that’s 28 wasted seconds in an otherwise rock-solid hour of good electronic music. The Mountain Lake is quite worth checking out. It’s an interesting departure for Spotted Peccary, and very welcome. Put very roughly, ambient music can be subdivided into two categories: let's call them intensive and extensive. Intensive ambient is largely static. Think Eno's Music for Airports or Aphex Twin's Selected Ambient Works Volume II, which has titles like ‘Lichen’ and liner notes with close-up photos of small rocks. Intensive ambient music doesn't ‘flow’ really, instead it seems to hang suspended—it reflects Erik Satie's famous desire to make ‘furniture’ music, and counts pioneers in sonic abstraction like John Cage among its predecessors. Extensive ambient music, in contrast, takes its cues more from electronic experiments conducted by psychedelic and progressive rock groups from the '70s. While intensive ambient is designed to sit still, extensive ambient goes on a journey. Extensive is cosmic; intensive is microcosmic. The Mountain Lake largely falls into the extensive category: atmospheric but often grandly-scaled, invoking images of space voyages and uncanny landscapes. It's thoroughly cinematic, at times self-consciously so, with a sense of expanse familiar to fans of Klaus Schulze. Agebjorn has made his name as a disco producer, most prominently as a collaborator with singer Sally Shapiro, with whom he cut a number of standout Italo-fuelled groovers. But while dancing has been swapped for lying down, the cosmic scale of Agebjorn's productions remains intact. The affinity between trippy dance music and ambient is brought to the forefront on the album opener, an ‘ambient’ mix of ‘Spacer Woman from Mars,’ one of his best known tracks with Shapiro. With a thread of continuity thus established to his spacey disco-pop, what follows is a dynamic mix of Moroder-esque instrumentals and evocative set-pieces. There are plenty of drums here by the way. They're just whittled down to dubby pulses. And with its big trance-y synths and full, symphonic mix, ‘The Stones Are Blasted’ is ambient only in the broadest sense of the word—it sounds rather like it's the opening theme song to an IMAX film about the space shuttle. Agebjorn's compositions are often at their strongest when they swerve away from the disco palette: Take, for example, the moody introspection of ‘Spiral Staircase,’ the beautiful, undulating melodies of ‘Swimming through the Blue Lagoon’ and the particularly mesmerizing synthesizer swells of ‘Zero Gravitation,’ which make me want to watch Carl Sagan clips on YouTube. Agebjorn's remix of Glass Candy hovers between disco and ambient in entirely its own way, plunging the drums into deep pools of delay—analog bursts flit past like lightning bugs in the dark.